Aloma Eye Associates Optometric Physicians, where patients are real people! Our practice is dedicated to providing our patients with the finest care available. We believe our patients are our friends and that our relationships can last a lifetime. We seek to treat all of our patients with courtesy, respect, and fairness. 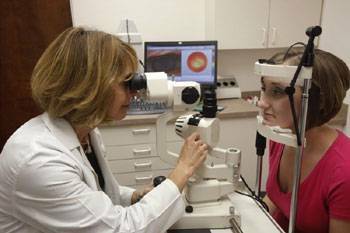 Aloma Eye Care Associates provides eye care services in Winter Park, Florida. We are enrolled as InfantSEE® providers. This is a one-time service which offers early detection of potential eye and vision problems at no cost regardless of income or ability to pay. Dr. Ward and her staff are awesome! Everyone is very professional and super knowledgeable, so I never leave with any unanswered questions. They are quick to get you in and flexible when it comes to your schedule. It’s rare to find Healthcare Organizations that are respectful and friendly, but Aloma Eye Associates check all the boxes. As always, my visit was great! 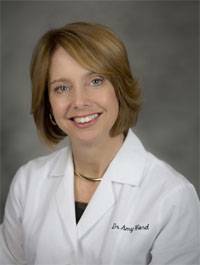 Dr Ward and her staff treat me so well, and are always very congenial and offer superb service. This is a wonderful group of eye professionals lead by Dr. Amy Ward. Dr Ward takes the time to really processes to you while doing an eye exam. This is a very good and caring group! Doctor appointments are not usually pleasant however I enjoy Dr. Ward and her team. Everyone is personable and I really love them. Dr Ward is an excellent, very well trained, highly qualified, and caring Optometrist who I recommend to my own patients on a daily basis. I've been going to Dr. Ward for years and have had nothing but an incredible experience every time. Dr. Ward and the entire staff always greet me with a positive and welcoming attitude. Although they are quite the drive for me it’s well worth it! I highly recommend them to anyone looking for an eye professional. I have always received excellent care and service from Dr. Ward and her staff. I highly recommend them to anyone looking for an eye professional. Amy and her staff are very professional, knowledgeable and courteous. They care! 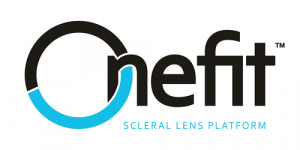 Try lenses on the same day as your exam - even go home with a few samples! What’s involved in a comprehensive exam, and special considerations for kids and contacts. Your Winter Park optical offers a large selection of eyeglasses, contact lenses and designer frames and sunglasses. Do you have dry, itchy eyes? Dry eye syndrome (DES) is a chronic condition that develops when your eyes do not produce and maintain enough tears to keep the eye’s surface lubricated resulting in multiple symptoms that range from person to person. The effects can range from minor dryness and discomfort to pain, blurred vision and frequent infections. Read more about dry eye exams and treatment. What's New In Eye Care?